Gosh! I cannot believe it is already half term; where has the time gone?? First of all I would like to thank all the parents in the senior school who came to Parents’ Evening. It is a crucial time, where we can triangulate the next steps in your child’s education. I hope you found it useful. I am aware that there were a few teething problems and some of you had troubles booking appointments because all the slots had disappeared. Thank you to the parents who gave me feedback on this. We do have a solution to this, which we will inform you about in the second half of this term. There have been many highlights already this half of term. 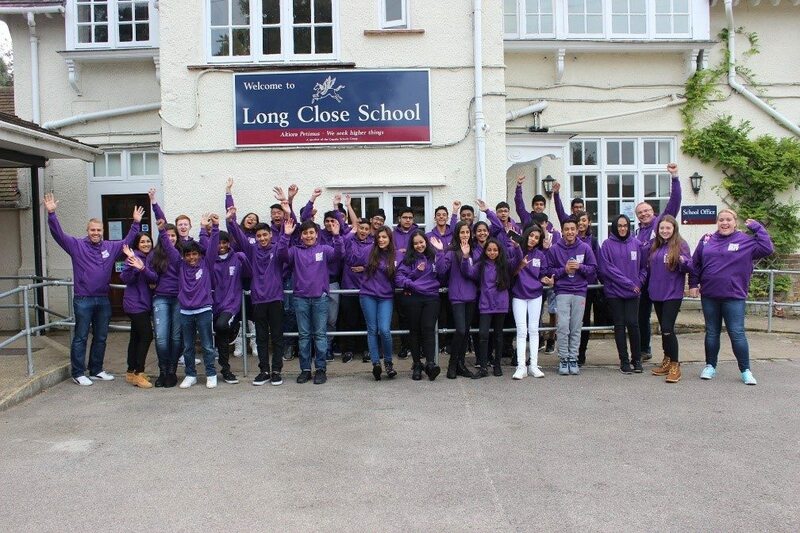 As you can see below, despite getting on with their academic work, the senior students at Long Close have been exposed to a whole plethora of different events that will help broaden their mind and take them out of their comfort zone. 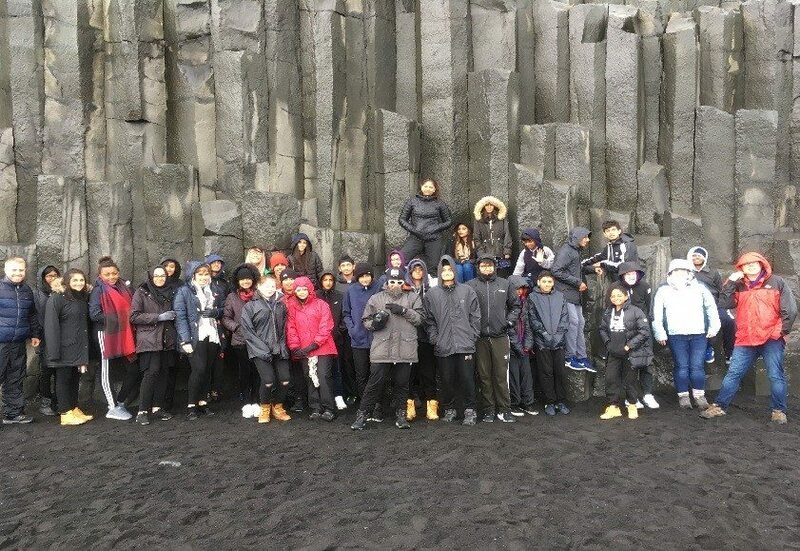 Yrs 9-11 trip to Iceland: The land of Ice and fire, myths and legends. We started the day with a journey to Gatwick, then we landed at Keflavik airport in Iceland. 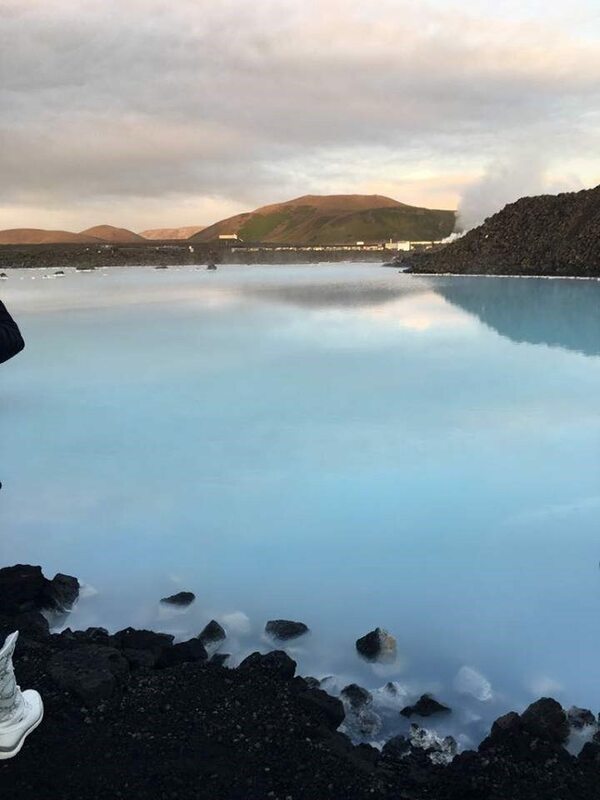 Straight after we landed, we travelled to the Blue Lagoon which were geothermally heated pools of water. After getting back to the hotel we were lucky enough to be situated very close to the sea, so we decided to walk near the coast for a chance to see the northern lights. Unluckily, this time we did not see them, but during this walk we were able to point out some key points we were close too. We began the second day by going to the Hellisheidi geothermal power plant, which was of the main contributions to Iceland’s geothermally sourced power. Then, we took one of the most popular tourist routes in Iceland: the golden circle. In this we saw the Gullfoss waterfall, the great geyser and the National Park which had the mid-Atlantic ridge running through the middle of the park, and is one of the only places in which we can see the boundary above sea level. After dinner, we took another coach ride to see the northern lights. The brisk coldness of the wind contrasted with the magical atmosphere created by the lights, making the moment one we’ll surely remember for the rest of our lives. The third day was by far the most exhausting. We saw the Skogfoss waterfall where climbed up the stairs on the mountain to see the water cascading down and the second waterfall, we were lucky enough to be able to go behind it because of the undercutting of the waterfall. We also saw the black sand beach where the winds were cold as they were blowing straight from the Arctic, but everyone was still so excited to learn about the processes taking place on the beach. 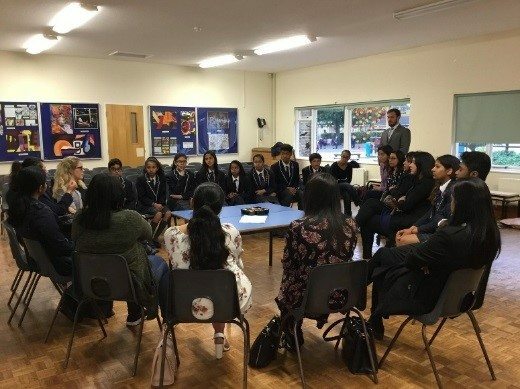 After dinner, one of Mrs Bingham’s old students came to talk to us about what she was currently doing and we were interested to learn about someone who went against a traditional career option and still managed to succeed. On day 4, we took a walking tour of Reykjavik to its city centre which was almost 40 minutes away from the hotel. The roads and the buildings contrasted with the hustle and bustle we usually associate with London. On the way to the city centre, we saw the building where the Cold War was effectively ended, which was very interesting to look at from the perspective of someone who has a deep interest in History. Later onwards, we were lucky enough to get some time to shop on one of the shopping streets where most of us decided to buy souvenirs and food. 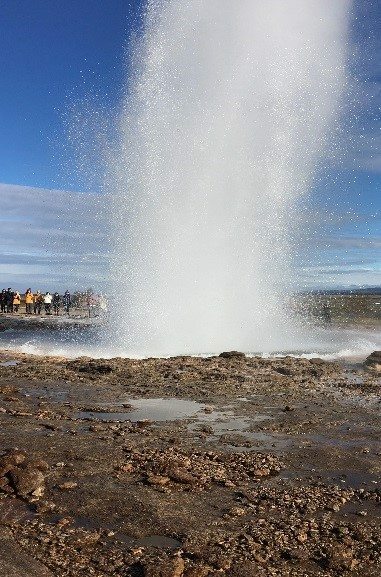 Overall, our trip to Iceland was very educational as it had aspects of Geography, Science and even Music. It helped us substantiate our learning by seeing the concepts we learn about in class in action. After a rather muddy trek into the woods, we have arrived at base camp. The staff and children are now having a campfire competition as we have been told our lunch is fresh kebabs over the open fire. The catch is that we actually have to build and maintain our own fires. We have been so impressed by the behaviour and teamwork of the children and look forward to reporting back on our challenge. It’s such a peaceful and relaxing environment and we can’t wait to update you over the next few days. Wow…what a night! It is such a wonderful experience sleeping outside in the wilderness. After a full day of activities and night time game lit by torchlight the children were excited to bed down in their tents. 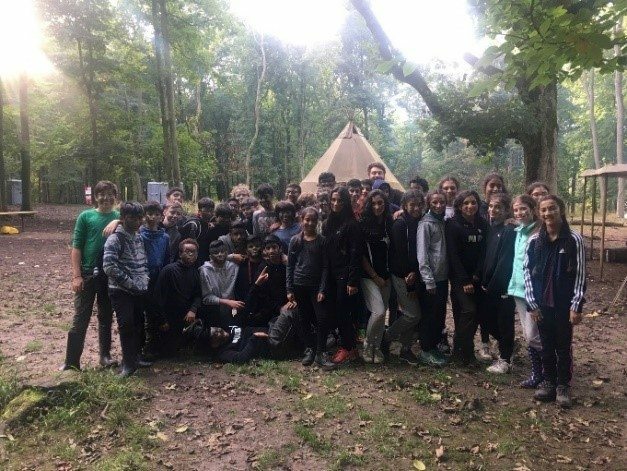 A very brave group of Y7 an Y8 boys also decided to sleep outside in their shelters with members of the Bushcraft team. This morning we are building our campfires and wood ovens ready for a Full English Cooked Breakfast then it is another jam packed day of outdoor activities. After a fun filled day yesterday of tracking wildlife, learning wilderness first aid, camouflage survival games and a torch lit night time walk that ended with a plane crash survival rescue. The victims of the crash were the Long Close Staff and upon discovery of the scene our rescuers sprang into action. Shouts for help rung out across the night sky as the survivors were dragged from the wreckage. Bandages, homemade slings and first aid helped to ensure the staff made it safely back to camp as we were carried out of the crash by the students in emergency stretchers. I am pleased to report that the staff are still alive and haven’t sustained any injuries as a result of the rescue. Last night a large number of students chose to sleep in their shelters in the woods. It has been so fantastic to see the children tackling challenges and stepping outside their comfort zone. This morning the menu was pancakes and fruit compote. Food has certainly been a highlight and we certainly have enjoyed our campfire cooking; especially Mr Brazier who has now been given the title of Chief Marshmallow Roaster. This morning we have set about ensuring we return the woodland back to the state in which we found it and will leave camp with fond memories and new friends. Leadership is alive and well in Y7 and Y8. 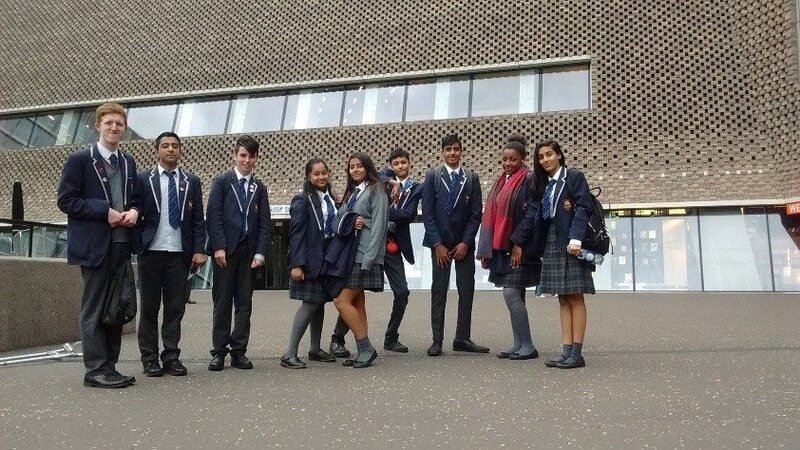 On Wednesday, GCSE pupils from LCS visited the Tate Modern Gallery in London in order to gather research and ideas for their coursework. 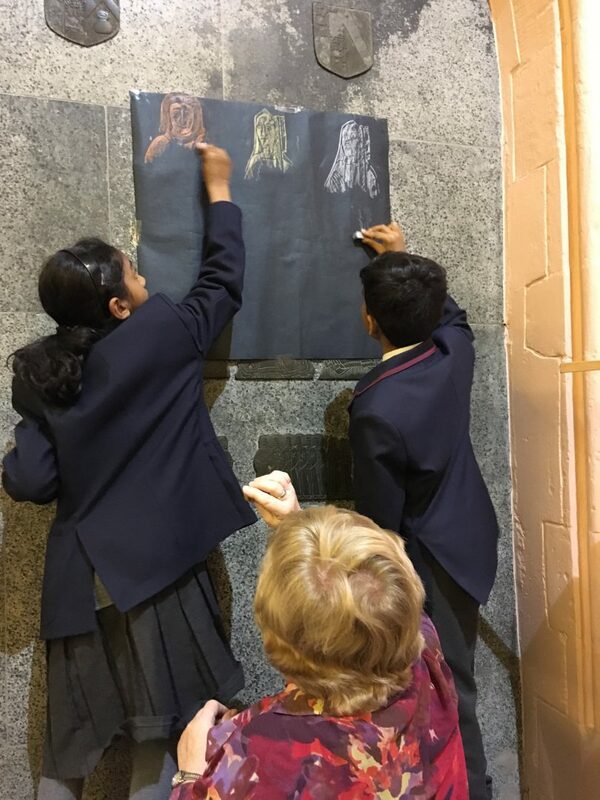 Focused on the theme “identity” the pupils visited the exhibition “Soul of a Nation” that included a variety of artists who made work during the context of the American civil rights movement. This was an enjoyable and informative trip and a valuable opportunity for the GCSE pupils to gain inspiration from others. 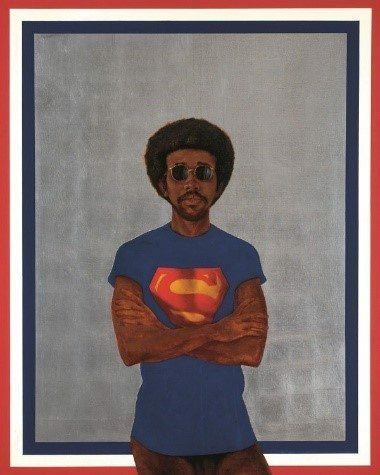 The show opens in 1963 at the height of the Civil Rights movement and its dreams of integration. 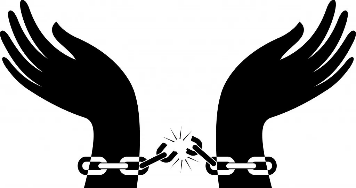 In its wake emerged more militant calls for Black Power: a rallying cry for African American pride, autonomy and solidarity, drawing inspiration from newly independent African nations. 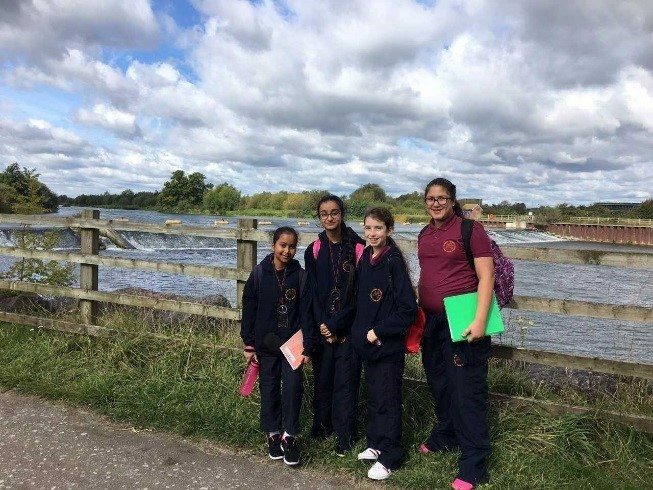 Year 7 walk along the Jubilee River – This was a great opportunity for the Year 7 students to spend a day getting to know one another as well as developing a range of geographical skills. 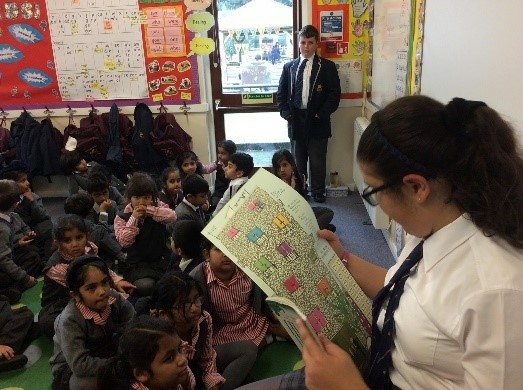 The group had the opportunity to take grid references using maps of the local area, take field sketches of the river and gain a deeper understanding of the local area. Overall, we walked around 15km and had a thoroughly enjoyable day. The day started off brilliant with participating in a dramatic workshop. We studied the staging and all of William Shakespeare’s directing and characters. His view and purpose to please the beginning of the Elizabethan era. 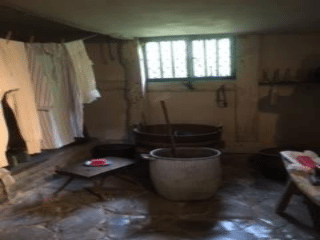 We visited his cosy family home, and saw the once life of the 16th century. After we studied different ways Romeo and Juliet could have been presented and directed the, from our point of view. Afterwards we saw the Anne Hathaway’s Cottage. The gardens were gorgeous and the cottage grew. We ended the day in the sun, gardens. Thanks for trip! A huge thank-you to Mr. Miles who lead the first Inspire the future assembly to the senior school pupils. Mr.Miles took us from his experiences at school, to when he worked as an engineer to, to his leadership in Health and safety in the oil rig industry. He is currently focusing on the safety of trains. 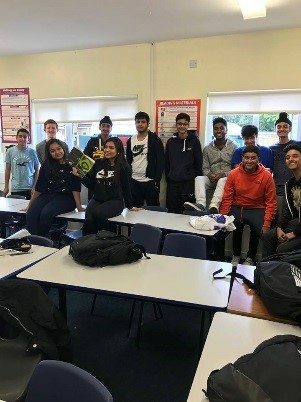 It was a very engaging way for pupils to experience first-hand the opportunities available for making their subject and career choices. The Senior school welcomed Colin Williams (General Assistant) at LCS. 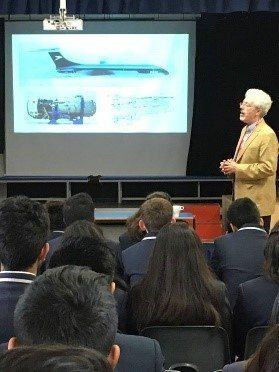 The seniors heard all about Colin’s life during the War and the routes he took throughout his career and the hardships he faced. He showed the importance of resilience in his life and the importance of overcoming obstacles. It was lovely for such an experienced person to take us through his life with such charm and grace. Who should be crowned as King of England in 1066? 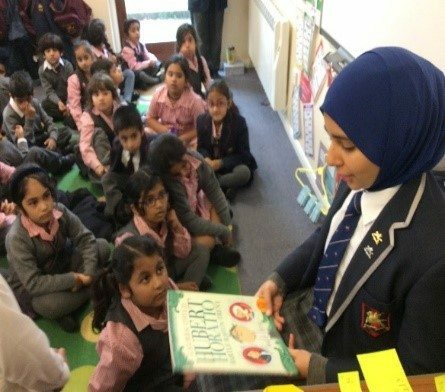 Part of being a British school, is celebrating key events in British history and looking at the impact it had on British society. 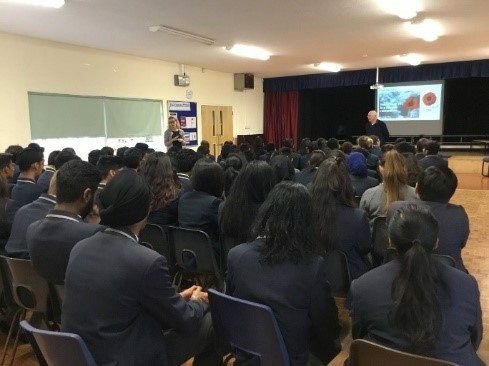 In this assembly, prepared by Mr.Dunford , Year7 students had to present why Harold Goodwinson, William Duke of Normandy, and Harald Hardrada should become king of England in 1066. Good persuasive language was on display by all. 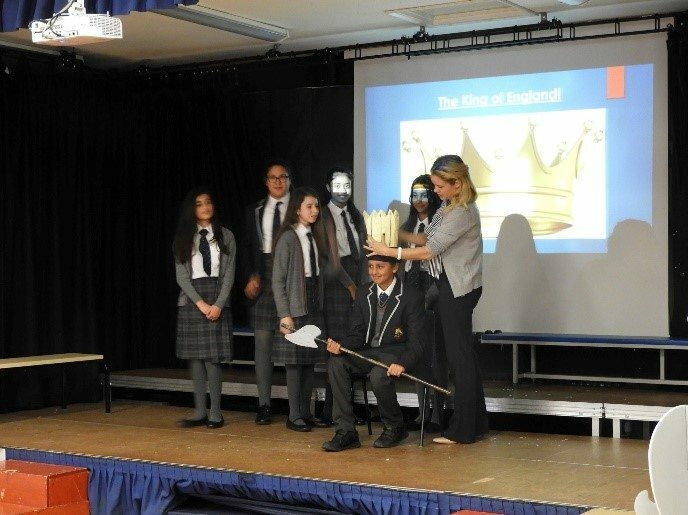 At the end of the assembly it was claimed that Harold Hardrada was the most persuasive and he was crowned King of England by the headteacher, Ms.McBride. It would make an interesting essay: what if Harold Hardrada had become king of England in 1066? How much different would have England become? Whilst Yr 9-11 were away in Iceland, Mrs Amod led and assembly on freedom and how poetry addresses this issue. Mrs.Amod and Ndhi Gohil read aloud two very personal and moving poems that they had written. 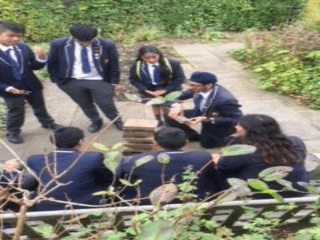 Mrs.Amod was also ably assisted by: Lala, Dania, Sukhraj, Ria and Daania. 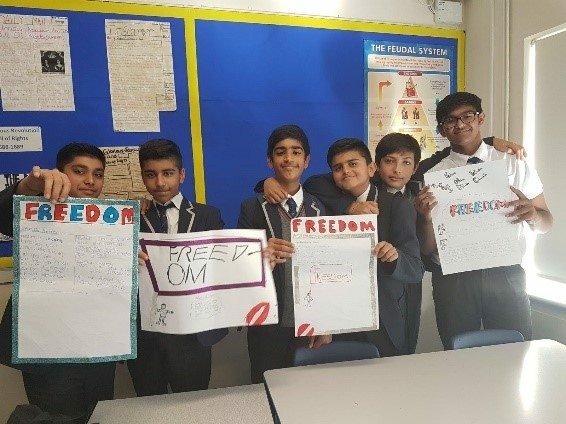 Later on Yr. 8 were so inspired by Mrs. Amod’s assembly that they worked on what Freedom meant to them during PSHE. This tied into the importance of British values in our society. It is very important that we engage the students in school and that have a voice. For this reason we try and involve them, when possible, to turn up to meetings to discuss their views and opinions. 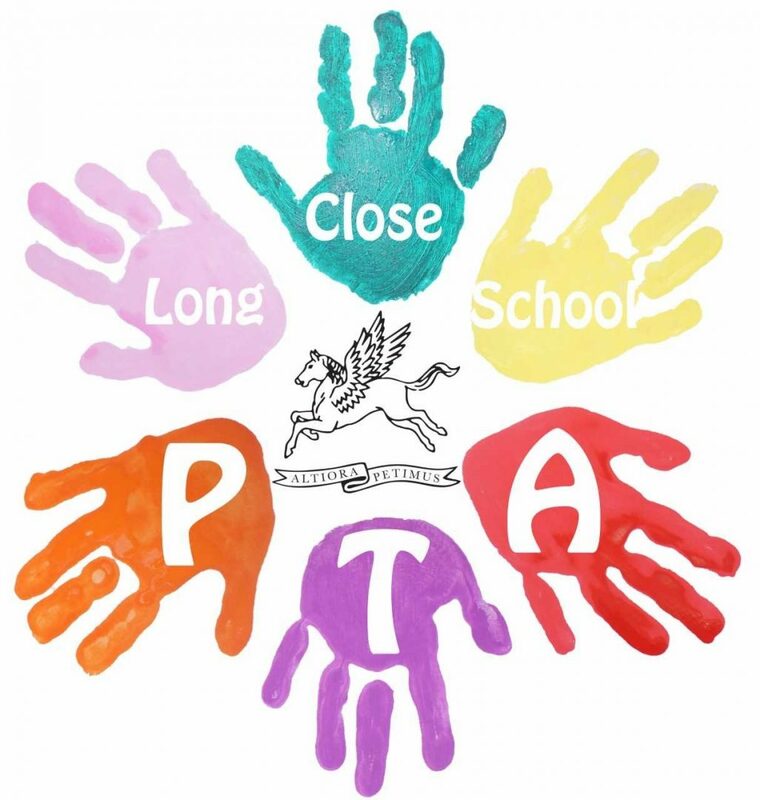 There was a great turnout from the Long Close PTA Coffee Morning. Senior pupils provided informative feedback to the parents for what they would like for their upcoming events. Mr.Brazier met with the Headboy/Headgirl and all the various form captains and vice form-captains. They discussed the Christmas fair, the changing rooms, the end of year party. They also discussed some of the feedback they got from a meeting with Tracy about food. LCS Open Day was a huge success, thank you to everyone who attended. 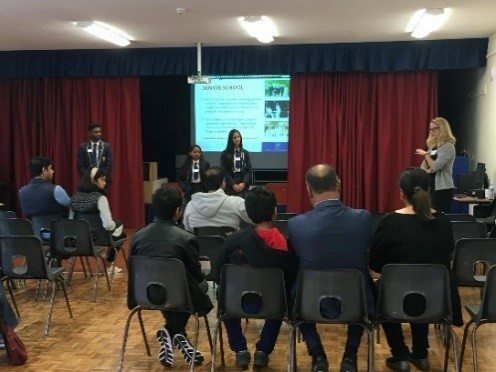 Our Seniors were put on the spot to answer parent questions about the school in front of the audience and did exceptionally well. School isn’t just Monday – Friday. 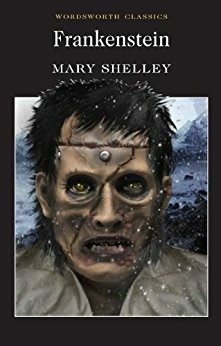 The year 11 class came in on Saturday morning to revise ‘Frankenstein’. They all learnt a lot and it was invaluable preparation for their forthcoming GCSE in English literature. Thank you to Mrs. Amod for giving up your Saturday. I know how important it is to recharge your batteries over the weekend. Some of the students who did not go to Iceland decided to spare some time and give something back to the school. 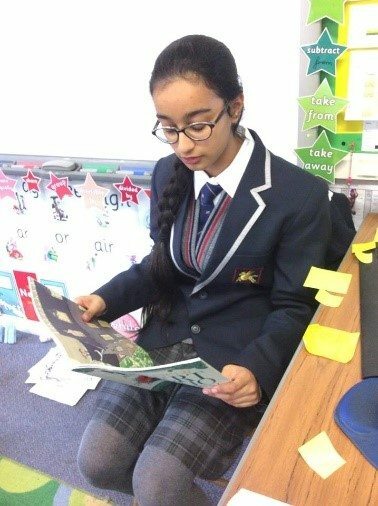 Years 1 and 2 were lucky enough to be visited by members of Year 7 and 8 who read them Lauren Child’s ‘Hubert Horatio Bartle Bobton-Trent’ during story time. Thank you Aya, Dania, Bhavneet and Nathan! The children really enjoyed the story and showed their appreciation with ‘a round of a paws’, ‘a microwave’ and a ‘yihaa’! If you don’t know what these are, ask your child to show you! 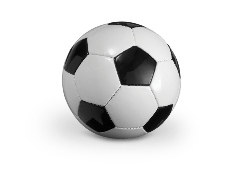 Football: So far the Under 13’s are unbeaten. They played St.George’s who we beat 4-2. We then played St.James’ are drew the match 4-4. Keep it going boys – let’s see if we can have an unbeaten season! 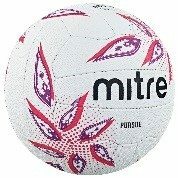 Netball: This term the senior girls played against Khalsa Secondary Academy. The Yr 10-11 girls lost 7-3. However, the Yr 9 girls came away victorious winning 9-3. 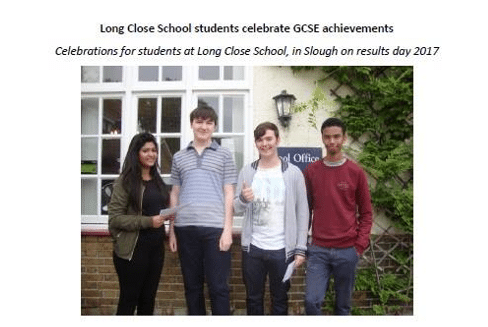 Finally, I would like to congratulate our Year 11 students (who left us in the summer) on their GCSE results. In English and mathematics 22% of the students achieved a grade 7 or higher, and a number of them secured grades 8-9 (reserved for only the top performing students). Whilst in all the other subjects 46% of grades were awarded at A*-A. Remember to stay in contact and let us know how you are getting on. Although you have left, you are still very much part of the Long Close family. We have had a number of missing kit bags, and would like to remind pupils and parents to label all items of clothing and bags in the event any items are misplaced. A polite reminder to all pupils and parents that snacks during break times and after school should be fruit only. We would like to remind all pupils and parents that the school bell is at 8.25am prompt. Please ensure you arrive to school before this time to avoid any lateness records for your register. Please see below the Academic Dates for 2018/2019 in reference to Ms. McBride’s email for ‘Leave During Term Time’. On Thursday 12th of October, a selected few from years 8 to 11 were chosen to go on a trip to the birthplace of one of the greatest if not the greatest playwright of all time, not just to witness life back in his time but also to learn about his plays and how they were portrayed on stage as well as all the different things Shakespeare had to factor into his plays. These were things such as: making it gory to compete other forms of entertainment (bear fighting, which was blood and guts galore itself), making it relatable to all people (old, young, men and women) and writing plays specifically for the ‘Globe Theatre’, which is circular, very much different to modern theatres. 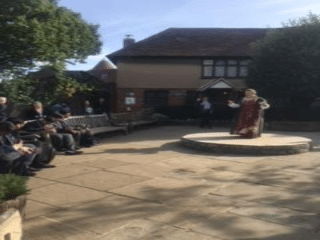 We also learnt about how complex Shakespeare’s story lines were, combined with underlying meanings, he would have at least a sub-plot to the main plot in most of his plays. To tie into the cultural aspect of things, we spent some time soaking up the streets and shops of Stratford-upon-Avon. Most buildings were clearly old, and were just being maintained to give the area an old-English atmosphere. In addition there was plenty of old-fashioned bakeries and sandwich huts, that seemingly blended with the scenery, subtly but very effectively nonetheless. 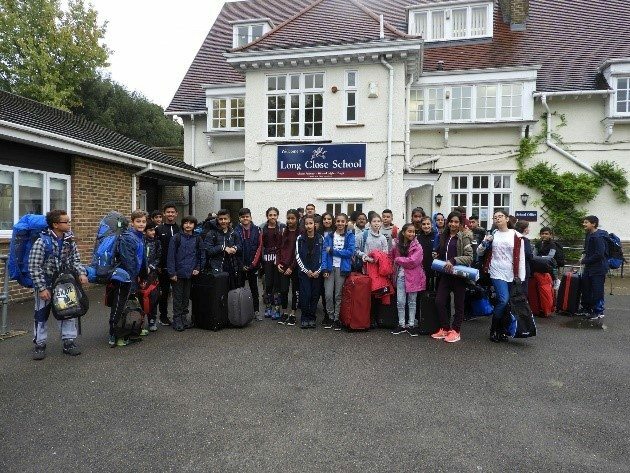 Overall it was an excellent trip, loved by all the students that had the chance to attend, the only downside was the hour and a half journey to and from! 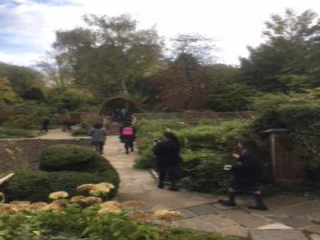 Year 6 went on a fantastic trip to the Black Country Museum near Birmingham. 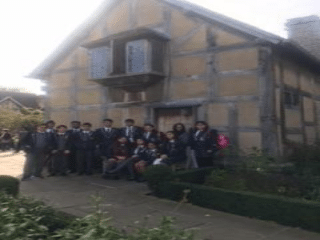 It is a living history museum and they learned about the lives of the children and adults who lived in the Black Country mining community during the Victorian times. They started the day being taught by the Headmaster of the Victorian school. They found the rules much stricter and they were expected to work in silence the whole time! The children went in many houses and shops which were original buildings and furnished to represent the period. They even donned hard hats and went down the mine to learn about the work of the people in the community. They were shocked to learn that children began working down the mine as young as 10 years old. But it wasn’t all hard work – they also had fun playing Victorian children’s games and even tried some Victorian sweets! On Monday the Year 1 children received a parcel from Chris Crumb, who owns Creamy Chocolates! Inside the package was four chocolate balls, but sadly they were all broken! Miss Staniford and Mrs Hallett challenged the children to think about how the chocolates could have travelled safely without getting broken. There was plenty of ideas shared during class discussions about which materials would best to surround the chocolate when being transported. The children though that foil, fabric, cardboard or masking tape may cushion them enough, but the teachers wanted to test out their ideas and predictions. They began by wrapping chocolates in the different materials before dropping them from a great height and checking to see if they had broken. The children worked out that fabric would be the best and most suitable packaging. The teachers wrote back to Chris Crumb, who was very thankful for their investigation and as a treat they resend Halloween chocolate eye balls for everyone, wrapped in fabric and all securely packaged; and none were broken! Super investigation work Year 1, Chris Crumb was very grateful for your hard work! 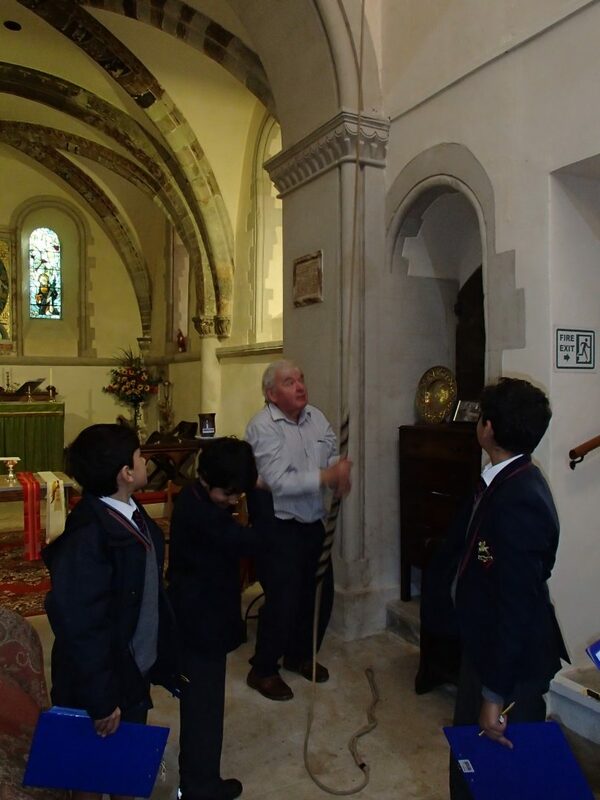 Today Year 4 visited St. Laurence’s church. We walked on the path beside the graveyard and were warmly welcomed by Alan and Julie, who run the church. 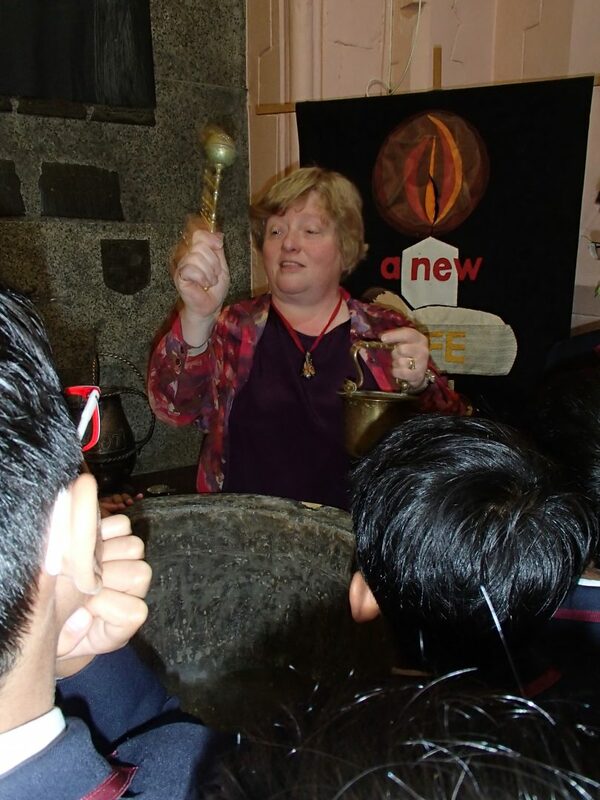 We first looked at the font which is used for baptising babies, children and adults. Julie showed us the water jug that is used too. We sketched some objects in the church such as the altar, the pulpit and the font. 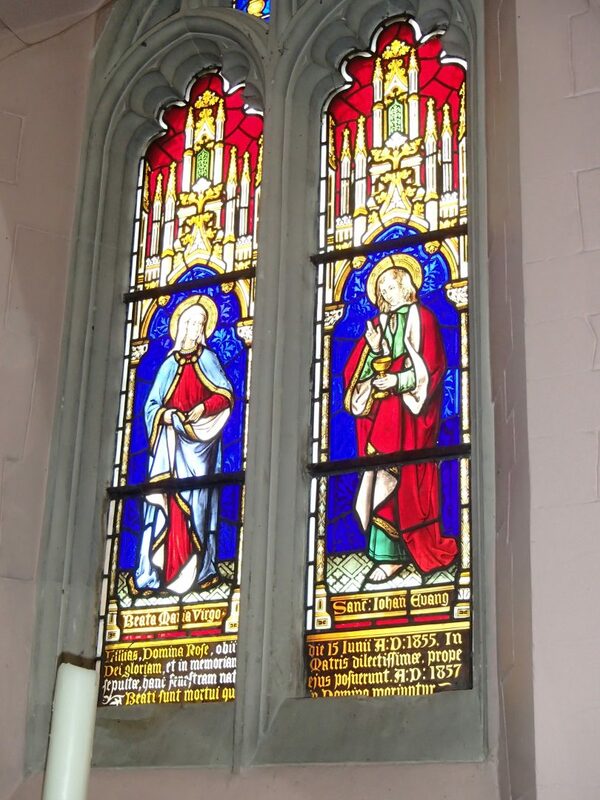 There was a stained glass window which had a picture of a famous person on it. When we changed groups, we worked with Alan. 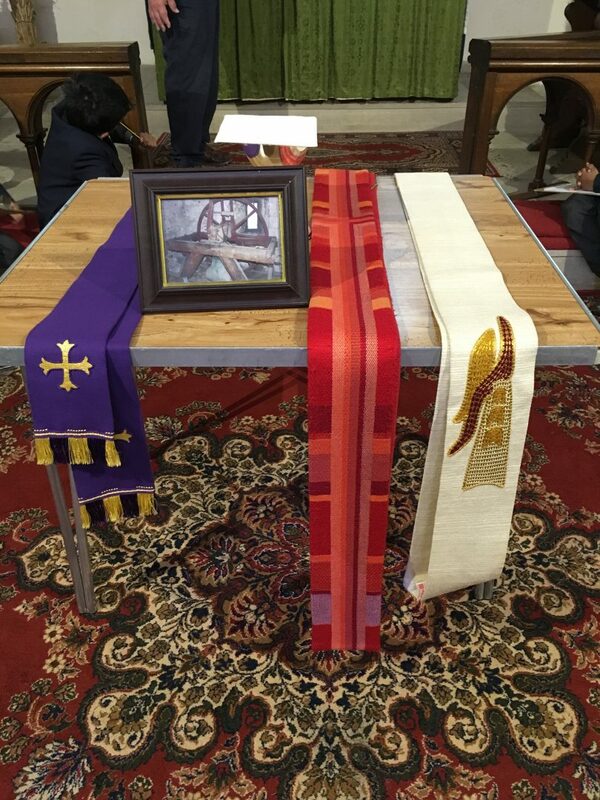 We learnt that there are three scarves worn by vicars for different occasions. One was white, one was red and the last was purple. 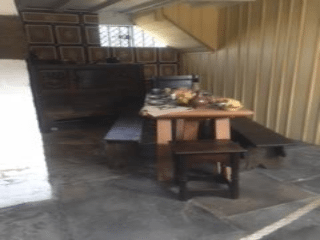 There was a giant wooden table covered with material called the altar. This is the table in a church where the bread and wine are consecrated during communion services. This was a very fun morning at our local church. 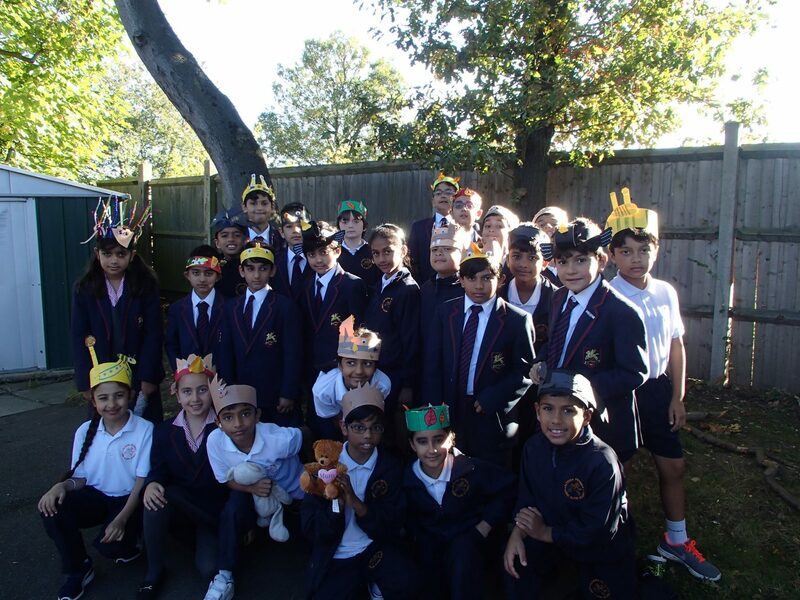 For the Harvest Festival, Year 4 acted out a marvelous play about what animals do in the winter. We really enjoyed making the headpieces out of cardboard. I was a robin! We welcome all parents to come and cheer the teams on during their matches! On Friday 13 October, under 9 Hockey B team played against St. Bernard’s. The people who played were Alina Dhillon, Mishal Chowdry, Kismut Badesha, Laiba Majid, Ammara Bibi and Aaliyah Naveed. First, Mishal made a great tackle and passed to Ammara who then passed to Alina, who scored the first goal. St Bernard’s then ran with the ball to the goal and nearly scored but Laiba and Kismut defended our goal. At half-time we had scored 4 goals. After the second half we scored 3 more goals. At the end of the game the score was 1/7 to us. Well done girls, keep the amazing work up! In support of the OSCAR Foundation inaugural UK football tour, Long Close School took part in a football tournament at Hall Grove School. A documentary entitled ‘My Life: Kick’ is being filmed by Drummer TV for CBBC and film crews where they captured footage on Wednesday 4th October. 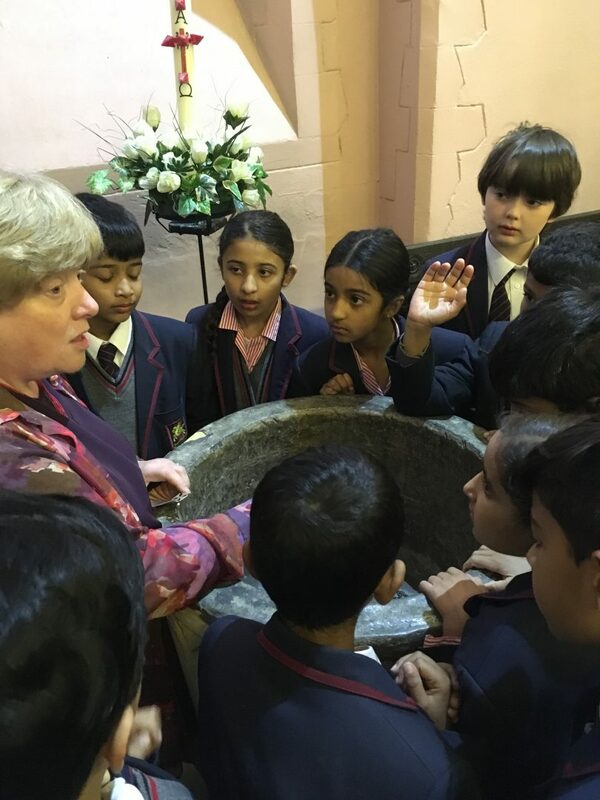 Not only was this a great opportunity for the U13’s, the pupils gained a valuable lesson in meeting children from India and those who are less fortunate. Details of when this will air will be up in due course. If you would like any further details about the OSCAR charity, please get in-touch with Mr. Jones (Head of Sports). THANK YOU to everyone who came along to enjoy last Friday evenings PTA school disco. We had the best turn out to date for a disco & hope you all enjoyed the evening as much as the children did. We have a short survey to get your thoughts on the event, so if you/your children attended and you have a spare 5 minutes please provide us with some feedback. A link to the survey is below. This week we had a committee meeting and Senior School events and involvement was a hot topic! 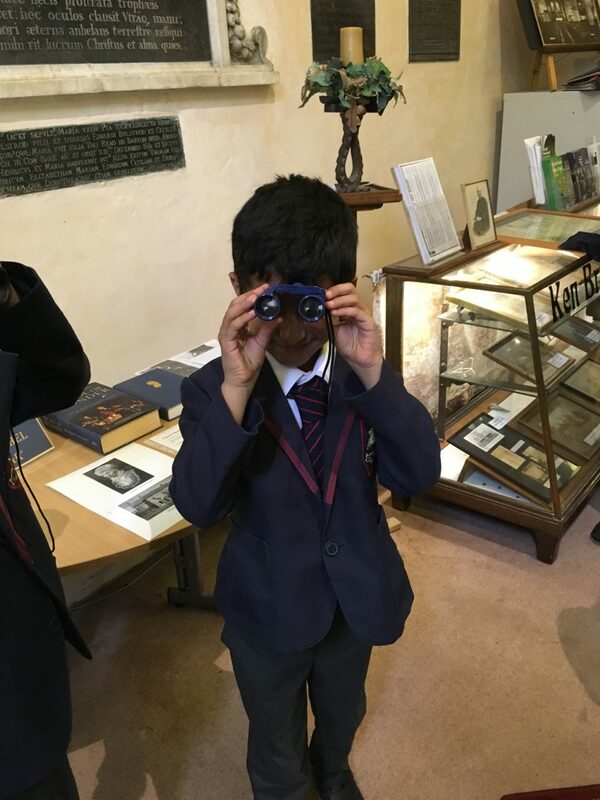 We are busy gathering ideas from parents and pupils from Senior School and hoping to be able to share more news on our plans for Senior School events soon. We will be hosting a Christmas grotto for the children on the afternoon of Friday 1st of December. They will get to meet Father Christmas and enjoy Christmas themed activities, more details coming soon.